So, just how big is Mount Augustus? Mount Augustus is more than twice the size of Australia’s more iconic outback rock, rising 715m out of the parched, stony, red plains. Uluru, on the other hand, is 348m high, 3.6km long and not quite 2km wide. To walk or ride around the base of Uluru is 9.4km. 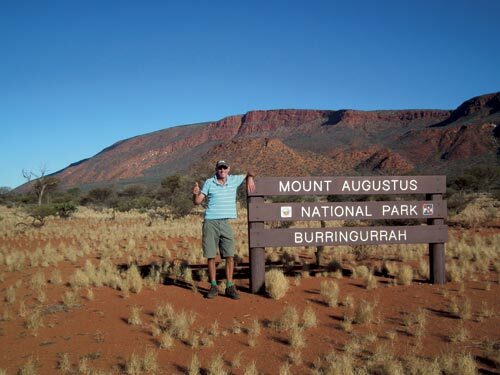 Now, compare that to Mount Augustus, which is a massive 45km drive around its substantial base. At 14km in length, it is almost four times as long as Uluru and it is 5km wide. 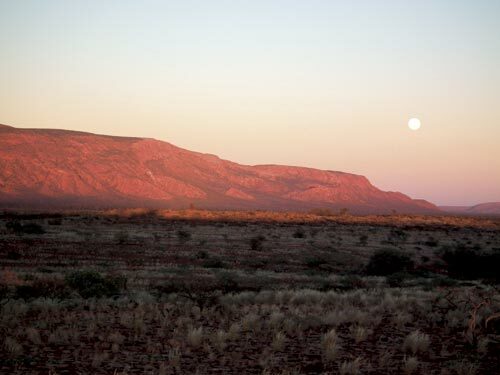 Mount Augustus is comprised of some rocks that are about 1830 million years old, which means that not only is Mount Augustus twice the size of Uluru, but three times older as well. So, whichever way you look at it, both are big rocks but Mount Augustus is much bigger and it holds the title of the world’s largest. 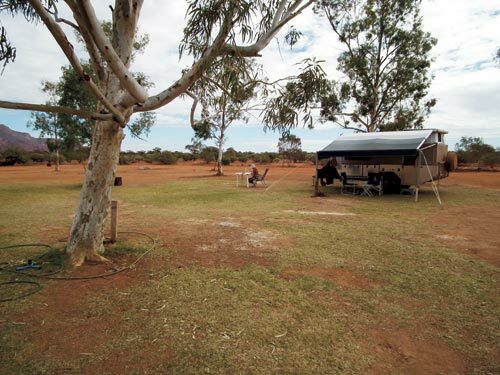 There is no camping allowed within the park itself but there is a very pleasant camping ground called Mount Augustus Tourist Park on the edge of the park. It is in a peaceful setting with powered and unpowered sites. The showers and toilets are very good and, surprisingly, the camping sites are extremely green with lots of grass. There is a small shop, a petrol bowser, which is, understandably, given the great distance from anywhere, very expensive. But it is also very convenient. The tourist park is part of a genuine working cattle station. Because the cattle station is on massive acreage, the owners use a small plane to help round up the cattle. Mount Augustus Tourist Park overlooks Mount Augustus itself. While climbing Uluru is actively discouraged, the much longer 12km return walk on Mount Augustus is encouraged. Mount Augustus is protected within the 9000ha Mount Augustus National Park which, while small in size, has the region’s biggest attraction. The most popular walk is the 12km-return Summit Trail and most people complete the trek in about six hours. It is by no means an easy walk, so you should be well-prepared. Take plenty of water and some food. You will need to leave early, not only to avoid the heat of the day but to make sure you are back before dark! 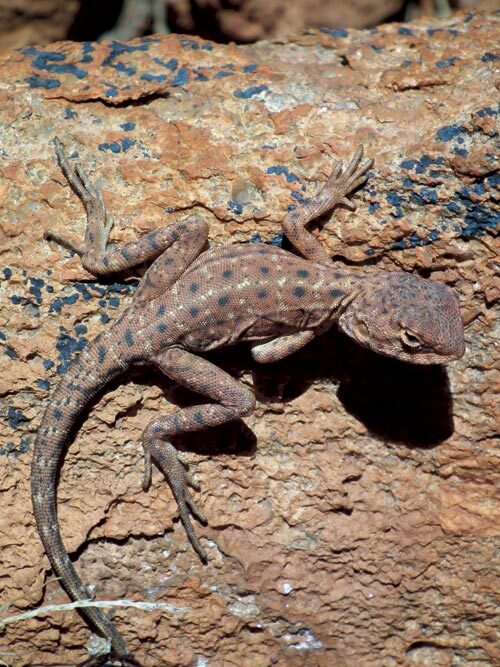 It is highly recommended that you advise the Mount Augustus Tourist Park (or the national park volunteers if you are there during holidays) that you are heading off for the climb, so they can make sure they check you off when you return. 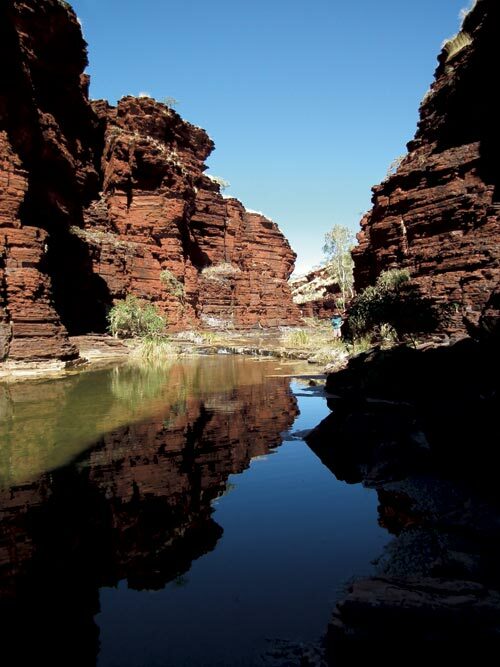 Other walks in the area include a short walk at Cattle Pool, on the Lyons River, which is a permanent waterhole located quite close to the tourist park. There is a picnic area and some nice water views, depending on the time of year you visit. If you do not feel up to a big walk, there are other short walks on Mount Augustus ranging from 500m return to 6km return. There are Aboriginal engravings to be seen at Flintstone Rock, which is only a 30-minute return trip. 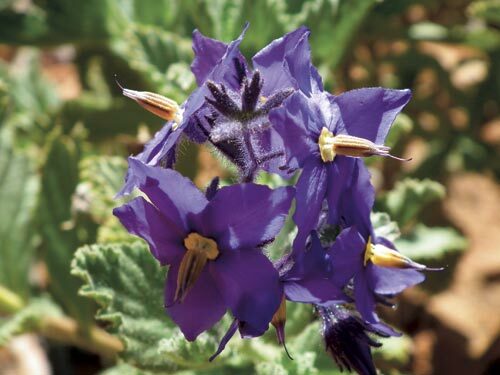 At Carnarvon, we headed inland along the excellent 177km bitumen road to Gascoyne Junction. 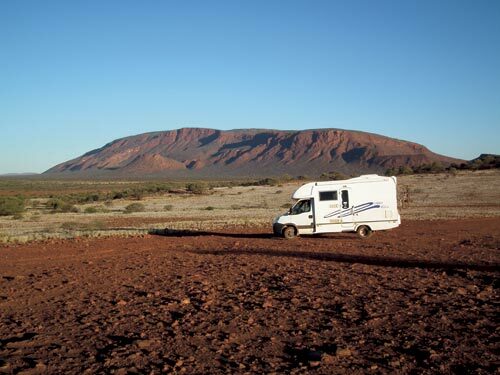 There are three all-gravel routes RVers can take to Mount Augustus from Gascoyne Junction. All three are long and dusty but well-maintained and suitable for all types of RVs. From Gascoyne Junction, Mount Augustus via Kennedy Range is 305km, Mount Augustus via Dairy Creek is 288km, and you can also go via Landor, which is 317km. The road from Meekatharra, south of Mount Augustus, is suitable for caravans but check conditions when you arrive in the area. Following advice from the Shire of Upper Gascoyne, after fuelling at the council depot we decided to travel to Mount Augustus via Kennedy Range National Park. 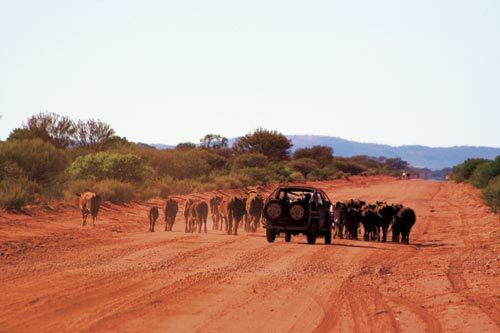 The 60km road from Gascoyne Junction to Kennedy Range is well-maintained by the council but can become rocky at times. The road was rocky at times but, surprisingly, not very corrugated. We drove sensibly, never speeding, and passed other vehicles with great care and respect. Mount Augustus National Park is 852km north of Perth, 490km by road east of Carnarvon (via Gascoyne Junction) and 390km north-west of Meekatharra. There are three all-gravel routes RVers can take from Gascoyne Junction (175km east of Carnarvon) to Mount Augustus: via Kennedy Range is 305km, via Dairy Creek is 288km, and via Landor is 317km. Sunrise and sunset viewings and photography at Emu Hill Lookout. 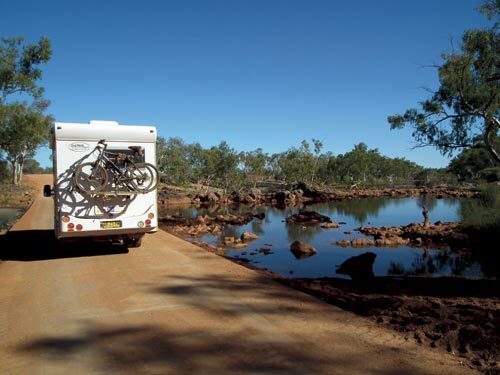 Drive the 44km circumference of Mount Augustus on the 2WD-suitable Bowgada Drive. Summit Trail: 12km/six-hour return walk up the rock. Always check with local information centres and councils about road conditions before attempting the drive to Mount Augustus. 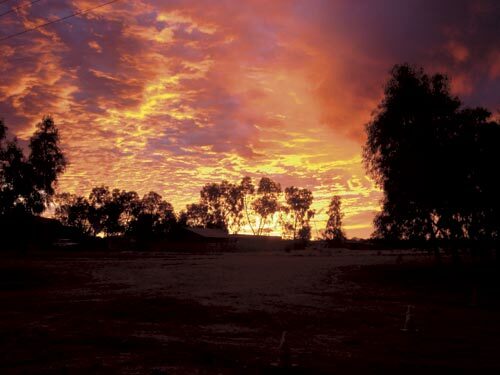 Mount Augustus Outback Tourist Park: (08) 9943 0527.